Despite what you may think, Oscar Peterson is a young bassist from Sydney. 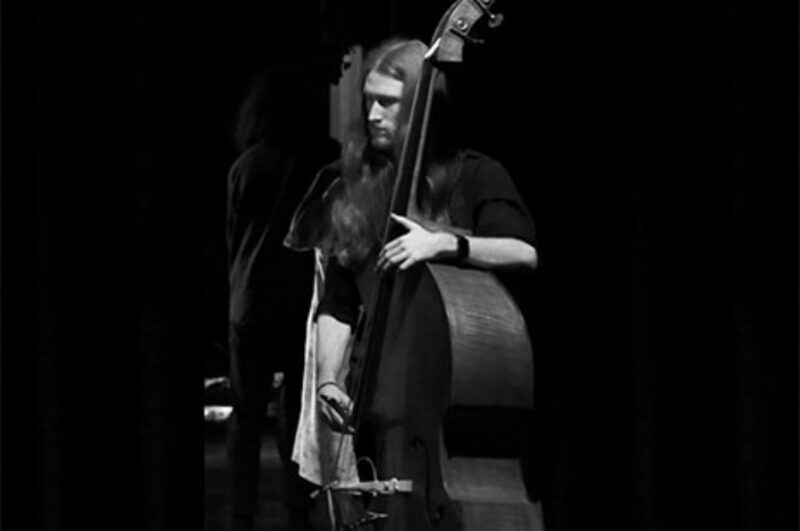 Currently studying Jazz Performance at the Sydney Conservatorium of Music under the likes of Craig Scott, Brett Hirst and Carl Dewhurst, he is already an active member of the Sydney jazz scene. Oscar is a passionate and honest performer, bringing his joyful and unique energy to every performance. A versatile musician, he blends seamlessly into a wide range of styles and settings including jazz, blues, gypsy swing, improvised music, pop, indie rock and many more. In 2017, he was fortunate enough to attend the Australian Art Orchestra’s Creative Music Intensive where he studied Traditional Korean music and Aboriginal Wagilak song lines with Christopher Hale, Bae Il Dong and Simon Barker. Some of his current projects include gypsy jazz outfit ‘The Djangologists’, free improvising group ‘Improper Citation’ and Indie rock band ‘Lost Tropics’.